These days, we are getting a lot of rereleases. Just a while ago, I reviewed Megadimension Neptunia VIIR, a rerelease of a game released on the same system just two years prior with a bit more VR content added on and a revamped battle system. An intriguing upgrade, but the lack of cross-save really hurt those looking to double-dip, having to start over from square one would really be a thorn in the side of an avid RPG fan. 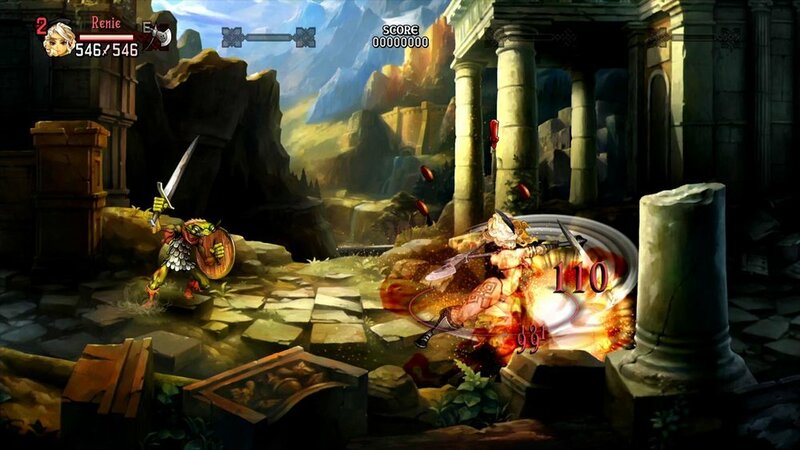 Dragon's Crown, having released about five years ago on the PS3 and Vita, cleans up the graphics with glorious 4K compatibility and gives the game a full orchestra, but the game is so identical you can cross-play with people on last generation's system. An amazing feat, a glorious reskinning, but with last gen's edition $20 cheaper, is it worth the upgrade? 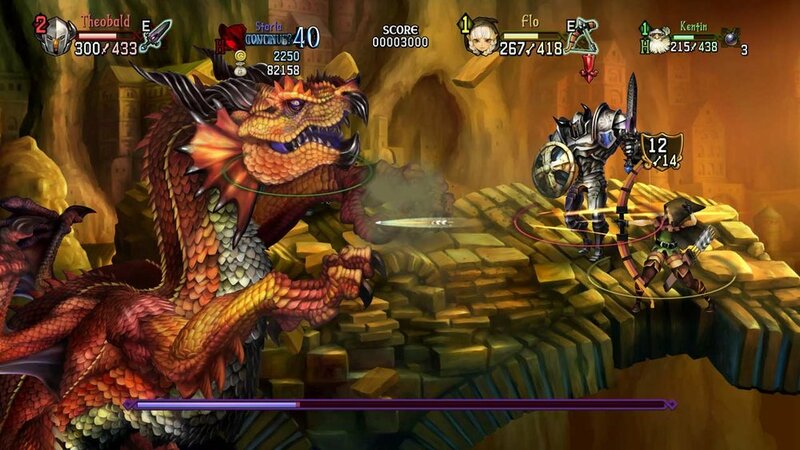 I've always been a fan of classic beat-em-ups, and Dragon's Crown definitely fits the bill. Being able to do any combination of couch and online co-op as you delve into a beautiful high fantasy world is my bread and butter. Dragon's Crown has a wonderful play style. With six separate adventurers (sorceress, wizard, dwarf, elf, amazon, and fighter) that each have their own mechanics and play styles, leveling mechanics, weapons, and loadouts, there's plenty here for a single player, let alone a team of four. Each have a primary and secondary attack and a stock of items to help them through the dungeons. The game is fully painted by the folks at Vanillaware, with the cutscenes reminding me of my favorite storyline scenes from Twisted Metal 2, almost paper-doll like yet alive. Each character animates beautifully in the play field as well, from the gleam on the figher's armor to the sumptuous sorceress and the powerful dwarf. The art style looks even more beautiful than before, even on my non-4K setup. I personally own the Vita edition, and have compared it via the PSTV unit. If it's been a while since you played, it might not look hugely different until you go back and look at the original, but characters, enemies, and action effects simply glow on the new Pro edition. For those unfamiliar with the title, Dragon's Crown has always been full of replayability for those who like brawlers. You can succeed through brute force, leveling your character and mashing buttons to win, or you can dig into the mechanics of each character, fine tuning and tailoring your leveling experience through the use of Skill Points, and learning the best combination of attacks to deal maximum damage. There are usually several paths through levels, and the story branches from time to time. Unlocking quests will give you reason to go back and find those secrets in earlier levels, and the looting system is very addictive as your Rogue, Rannie, levels up and gains the ability to find higher treasure ranks. Levels are well-paced, giving you a good twenty minute or so adventure each time, after which you can head back to town to stock up or continue on your quest. Why go for the PS4 edition? For starters, it really is the ultimate way to play the game. With a beautifully orchestrated score and the best graphics possible for this wondrously drawn title, Dragon's Crown simply cannot be played in a better format. That being said, it is literally the exact same game. It's blessing and curse together is how identical it is. There is already an established core of players probably itching to get back on the game with some fresh blood, and the cross-play between PS4, PS3, and Vita will mean the servers can easily be full of people to play with. In a wonderful move, the title allows you to cross-save just as easily with the PS4 edition as you would playing between Vita and PS3. Good for new players, but it makes a rough decision when you can digitally buy the previous edition for $20 less, and get a disc for as cheap as $15 if your local GameStop still has a used copy. However, the graphics and score are truly marvelous, and need to be seen and heard to understand the level of care that has been put into this edition of Dragon's Crown. I can easily see fans of the original game repurchasing this at full price, uploading their hours long save files, and being perfectly content. If you ever wanted to get Dragon's Crown, now is the time. The new influx of players is bound to make the servers jump again, and the beautiful PS4 upgrade is the way to go if you can afford it. If you don't have a PS4 yet, dust off the PS3 and get in while there are plenty of players, or better yet, either person can get a crew of four together for traditional couch co-op gameplay. This beautiful world is perfect for fans of brawlers or traditional high fantasy stories. It is easy to see the developers of Dragon's Crown love both of those worlds, and it is even more gloriously beautiful in this newest edition. Special thanks to Atlus and Vanillaware for providing a digital copy for review!